For quick, affordable Glasgow airport parking, SwiftPark offers one of the best options. When you arrive at the car park, find the nearest space, grab your belongings and take the transfer bus to the terminal. You can keep your keys, so you know exactly where it'll be when you return. Transfers are included in the quoted price and take just 5 minutes to get to the airport. Glasgow airport parking is rated, on average, 5 out of 5 by 197 Airparks customers. Transfers: Fast and efficient transfers will whisk you to the airport terminal in just 5 minutes. Once you've parked, head to the pick-up point by reception and take the next bus. Transfers are included in the price. 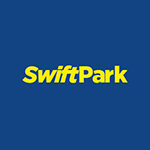 Security: SwiftPark's secured parking has perimeter fencing, 24/7 security patrols and CCTV monitoring. On arrival at SwiftPark When you arrive, pull up to the barrier; here a camera will automatically recognise your number plate and will lift to let you through. Find yourself the nearest spot, unload and make your way to the transfer bus pick-up point. On return to SwiftPark: Call 01412 806 090 and select option 2 to let the car park know you have arrived. Once you're through the arrivals hall, head to bus stop 5 and take the bus back to the car park. Once at the car park you can head straight to your car with the keys, load up and make your way to the exit. The barrier will automatically raise once it has read your number plate. More information: If your car is larger than one space, you'll be charged extra. If you are very late in picking up your car, you'll be charged at a rate of £5 per day. Glasgow SwiftPark is a superb airport parking facility at Glasgow Airport. However, if it does not meet your requirements, Airparks can recommend a range of other superb Airport parking options instead. All are covered by our Best Price Guarantee, so you can travel assured you are getting the best price for your airport parking.